Johnston Creek originates north of Castle Mountain in a glacial valley southwest of Badger Pass and south of Pulsatilla Pass, at an elevation of 2,500 meters. 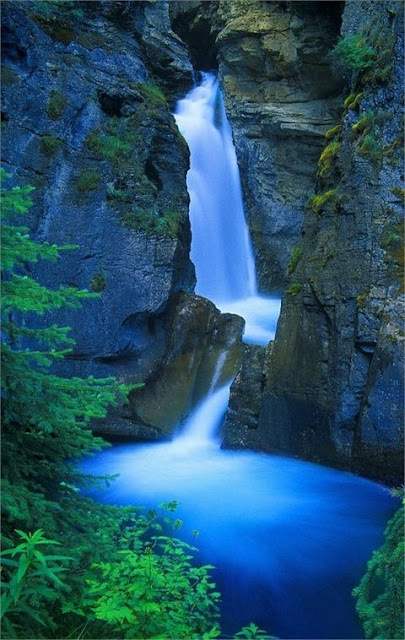 The creek flows southeast between Helena Ridge and the Sawback Range, and then south through a gorge known as Johnston Canyon. The stream empties into the Bow River, south of Castle Mountain, between Banff and Lake Louise, at an elevation of 1,440 meters.